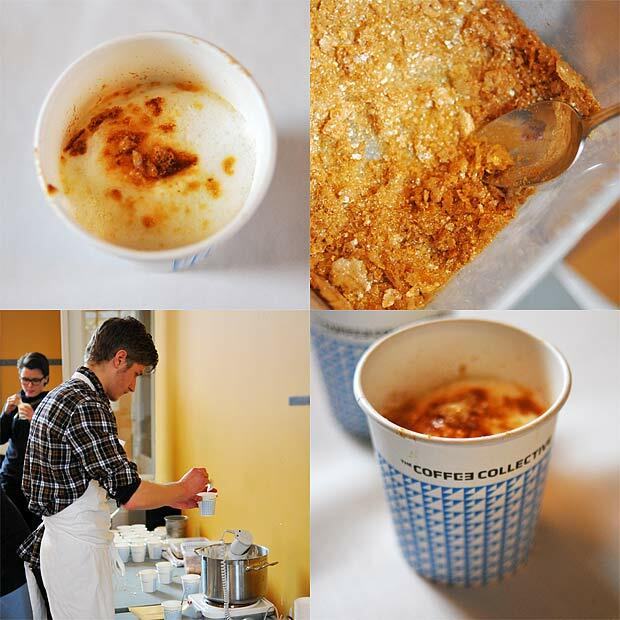 Sample #4: Precious instant coffee with hot and freezing milk. My favorite! 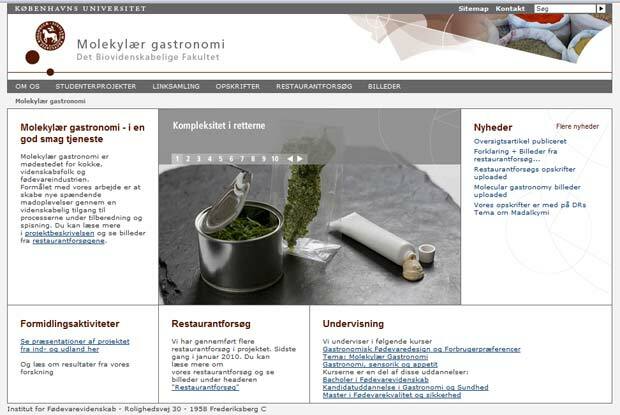 The research project Molecular gastronomy – the scientific study of deliciousness and its physical and chemical basis (Danish homepage) funded by The Danish Research Council was started in 2006. Led by prof. Leif Skibsted people from the Food Chemistry (Jens Risbo, Pia Snitkí¦r Nielsen, Louise Mørch Mortensen) as well as the Sensory Science group (Michael Bom Frøst, Wender Bredie, Per Møller, Line Holler Mielby, Ditte Hartvig) at the Department of Food Science at Copenhagen University have been involved. In addition gastronomic entrepeneur Claus Meyer (noma co-founder) and physics professor Peter Barham (Bristol University) have contributed, as well as the chefs Thorsten Vildgaard (noma/Nordic Food Lab) and Bo Frederiksen (Meyers Madhus). Any of the names sound familiar? They should if you’ve read the recent review published in Chemical Reviews: Molecular Gastronomy: A New Emerging Scientific Discipline where several of the people involved in the project contributed as authors. This landmark paper summarizes and lays out research opportunities in molecular gastronomy, the branch of food science that deals with The art and science of choosing, preparing and eating good food to quote Thorvald Pedersens definition – he is a professor emeritus in chemistry that played an important role helping to establish molecular gastronomy as a research field at the University of Copenhagen.